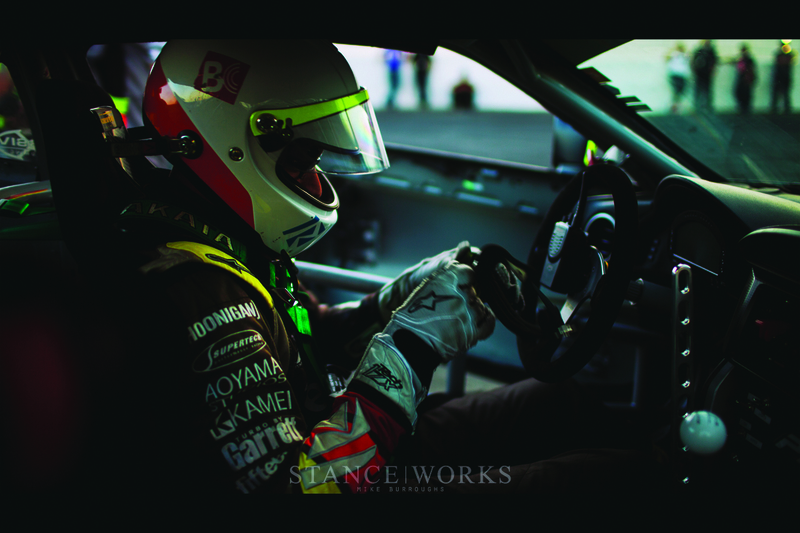 As the 2013 Formula Drift season came to its final event, GSR Autosports driver Michael Essa sat with a sizable points lead. It was abundantly clear that the cards were in his favor - only two other drivers stood a reasonable chance to take home the overall win: Chris Forsberg and Fredric Aasbo, and it was still a long shot for both. 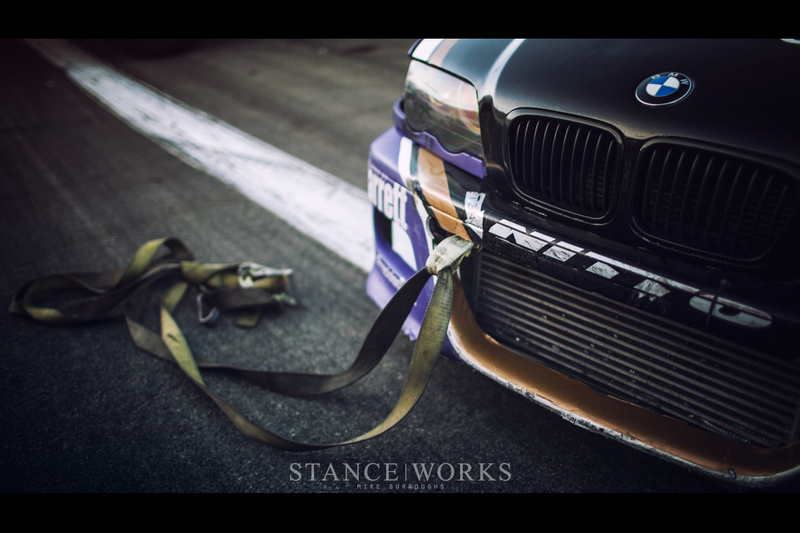 Third place, however, was still up for grabs, and the Nitto team still stood a chance to take home a trophy. 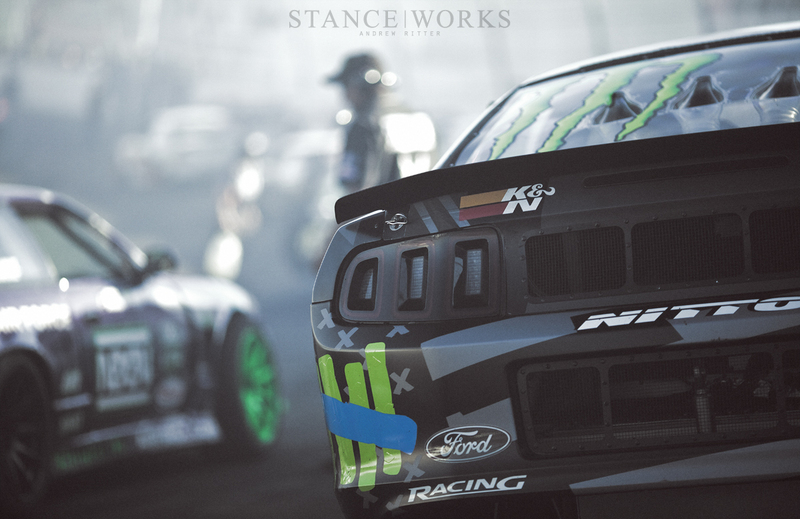 As he entered the final round of competition, Vaughn Gittin Jr sat in fourth place behind Essa, Forsberg, and Aasbo, as expected. His 2013 season has been one of ups and downs - several podium finishes put him in the top of the field, yet more than one instance of Vaughn literally running over the competition left 2013 with some interesting footnotes. 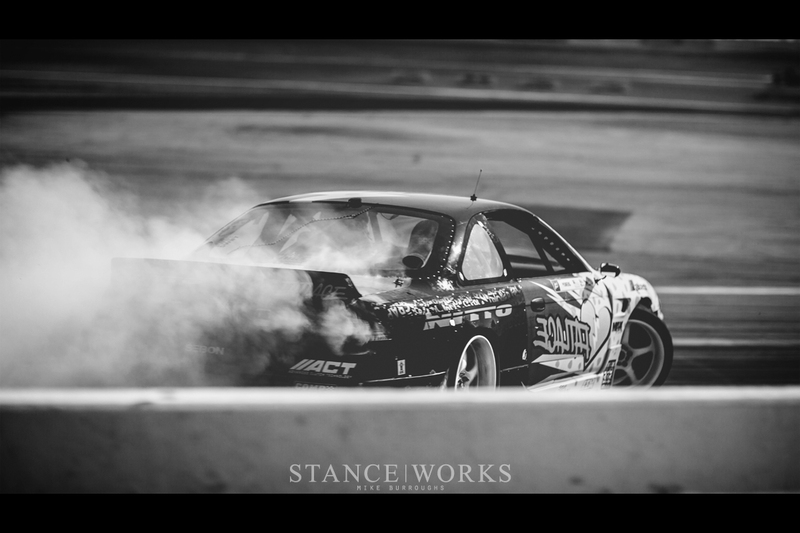 It's Gittin's first season as part of the Nitto Tire Formula Drift team, and with a shot at the podium and the chance to take home third place during his first year with the new sponsor, he pushed as hard as ever, pulling moves during competition only Gittin is known for, both for better and worse. This year also marks Chelsea Denofa's first full season with the Nitto team. 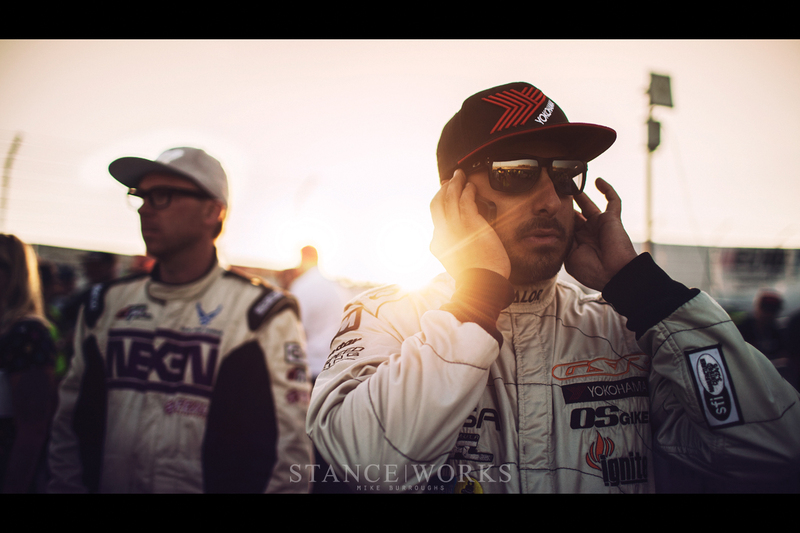 Chelsea's style is one of a kind, and with only two real seasons under his belt, he continues to rise through the ranks of established Formula Drift drivers. As a fellow Southerner, he's always been one I can't help but root for, and in the final round, he made all of the cheering worthwhile. The championship has been far from Chelsea's grasp, but it hasn't slowed him down. Up 4 positions from last year - 17th to 13th overall - he's diligently working his way towards the top. Not to mention, he's helping Essa hold down the BMW marque. 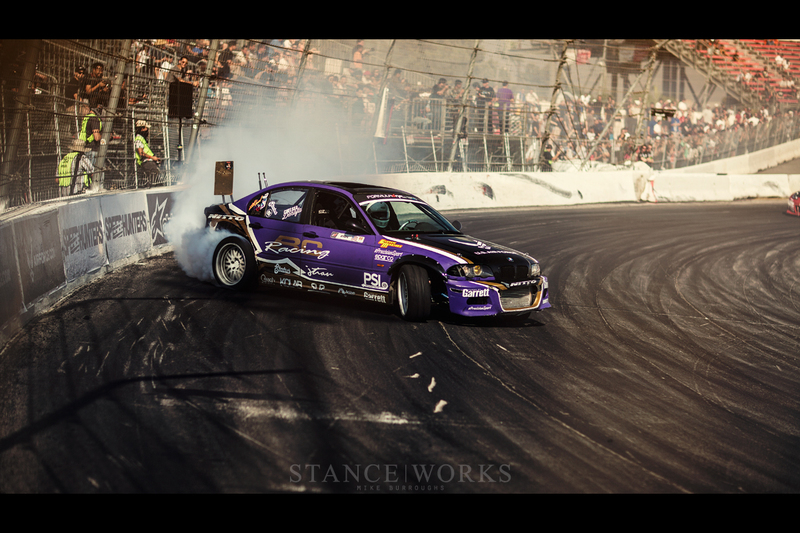 Matt Powers in the Nitto/Fatlace S14 rounds out the Nitto trio, fulfilling his third season with the Nitto team. Powers has always been a crowd favorite of sorts, and Irwindale, along with the Long Beach event, stands as a hometown track. However, 2013 has proved challenging, with Powers and the #665 Nissan resting in 16th place. The top 16 is arguably what counts, and he's there, but it's certainly not where he wants to be. Back to the event at hand: Essa qualified in first place, putting his points lead in the realm of nearly untouchable, which was incredibly fortunate. During the Top 32 Knockout, Essa's engine dropped a valve, ingesting itself and leaving Essa dead in the water. While it could have been a serious risk to his championship, his opponent's car also broke, allowing Essa to move on to the top 16 with a broken car. 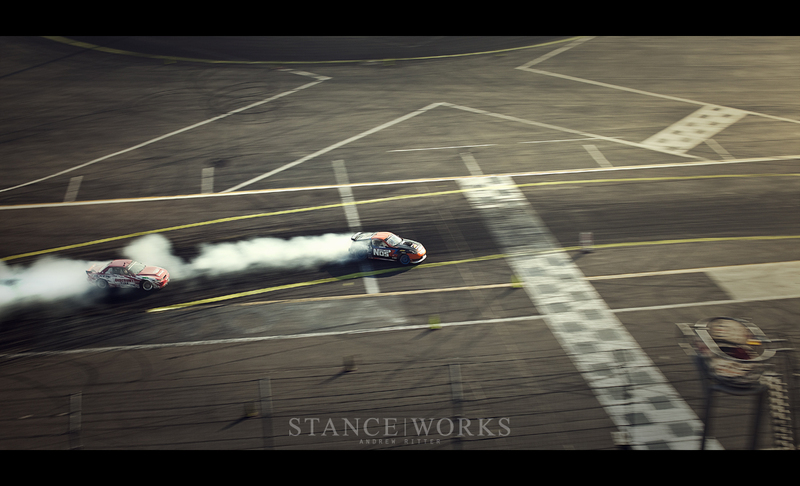 His standing left Forsberg with one opportunity to take home the overall win: he had to finish the Irwindale event in at least second place. Aasbo trailed closely behind, but fortunately for our friends at Nitto and RTR, Gittin qualified in second place, giving us a glimmer of hope. Gittin eliminated his opponent in the Top 32 knockout, allowing him to move on to the Top 16 as needed. Several other drivers made the cut, including Fifteen52-sponsored driver, the King of Spring Break Pat Goodin - a milestone quite some time in the making. 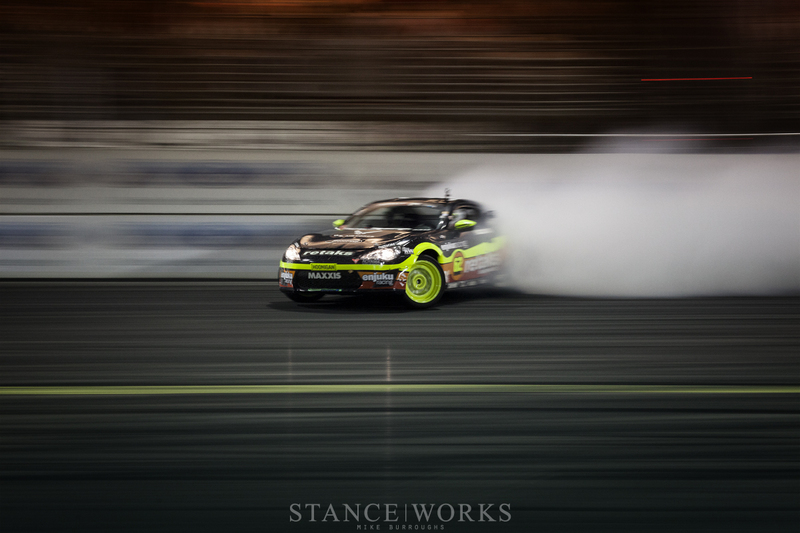 Our friend Ryan Tuerck also moved into the Top 16, bringing his first season with his new FRS to a solid close. He says he's got kinks to work out, but 2014 is sure to be a big year. 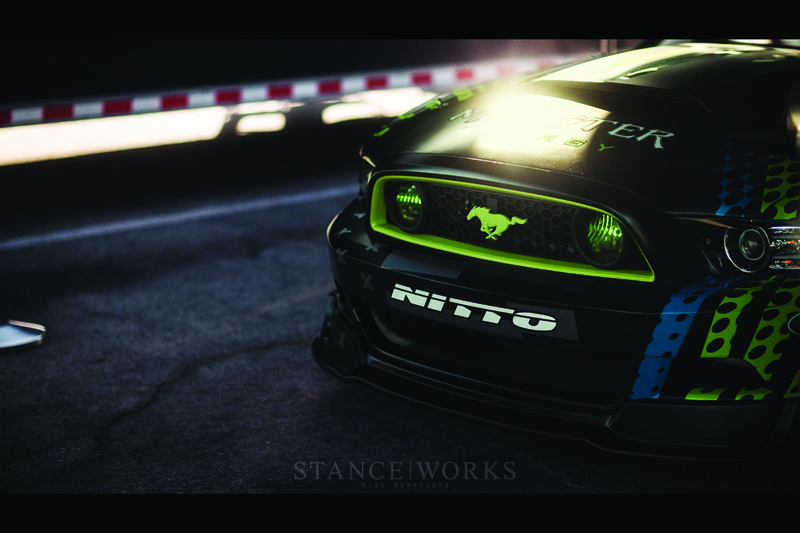 As the final drivers were slotted into their Top 16 positions, the Nitto/Monster RTR Mustang received the full once-over, preparing it for its final runs of the season and for a potential third-place showdown. 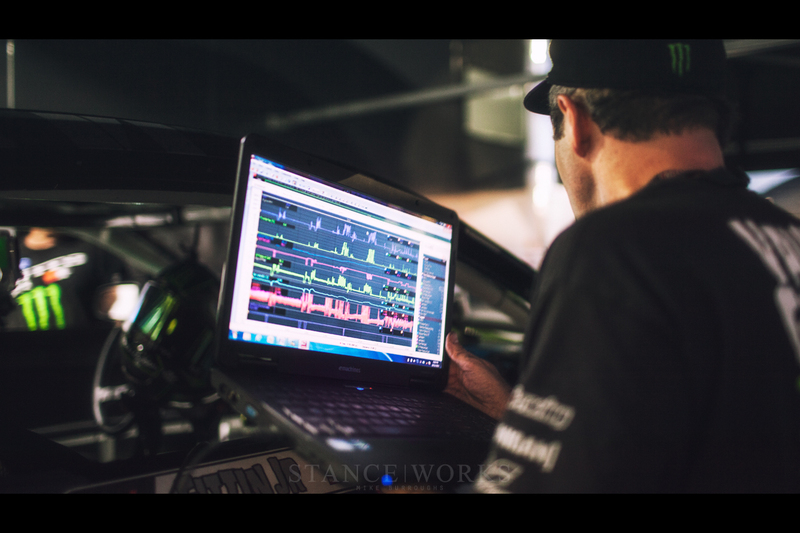 The computers and telemetrics were analyzed, parts were checked, and the car was given the go-ahead. 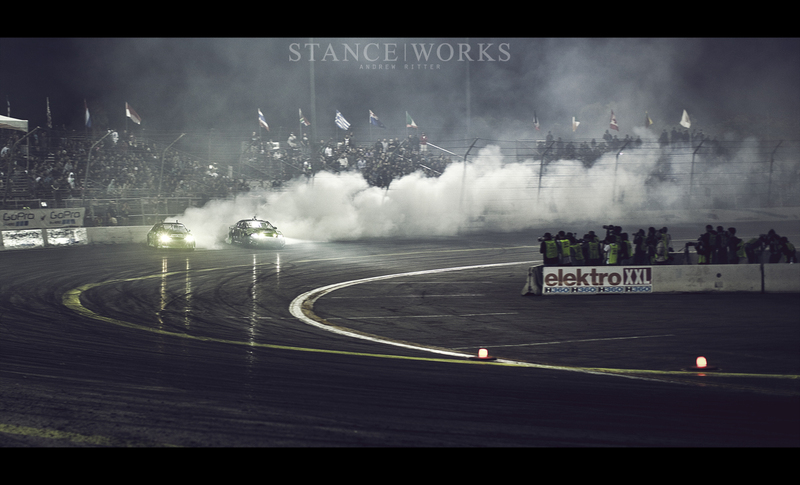 The Top 16 cars were lined up, and behind them, a gorgeous fireworks display lit the sky in celebration of the closing round of 2013, and more importantly, in celebration of ten successful years of Formula Drift competition. With huge anticipation, we watched as the Top 16 countdown began. One of our favorites, Matt Field, was quickly eliminated by Forrest Wang, who carried forward hard to finish the night's event in third place. Ryan Tuerck and Fredric Aasbo fought hard - not just one, but two "one more time"s were called, putting the drivers head to head a cumulative six times before Fredric was given the lead to move on to the "Great Eight." Aasbo's chances of taking the championship were slim from the get-go: Forsberg and Essa would both have to get knocked out of the Top 32, and he would have to continue on to win the event. 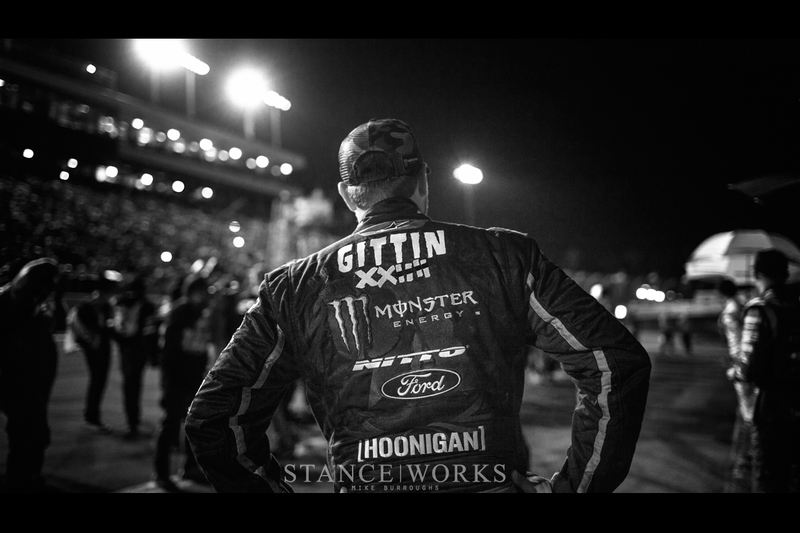 While that opportunity had long-since passed, he was still forging ahead, aiming for a third-place finish next to Gittin. We had our fingers crossed as Gittin charged ahead towards a win, hoping that the points would total in his favor. Disaster struck - in his chase run against Forrest Wang, Gittin crossed out of bounds, taking away what was a surefire pass to the Final Four. It was, unfortunately, the final nail in the coffin. Forsberg still stood a chance, but luck wasn't on his side either. His pairing in the Great Eight put him against 2012 Champion Daigo Saito, and Saito knew it was his chance to beat up on a potential winner. 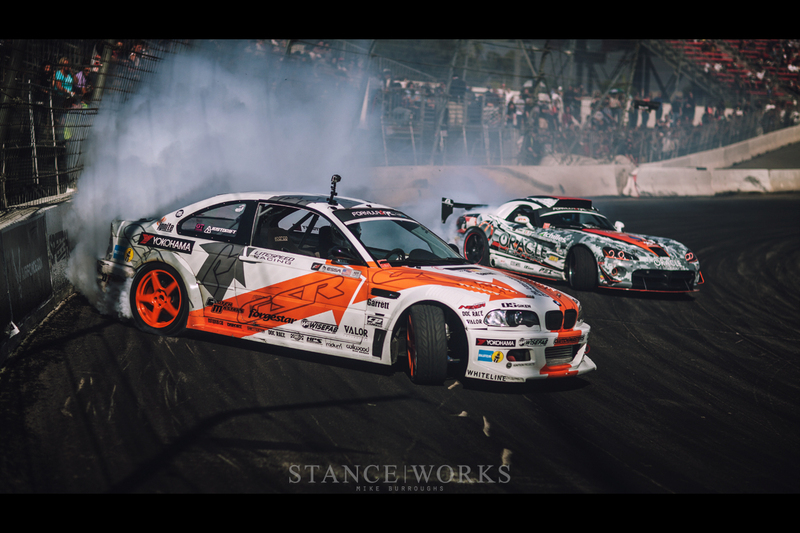 Forsberg never stood a chance - Saito wiped the floor with him, stealing his victory and the show from him. Immediately, the crowd knew who the 2013 season champion was: Michael Essa. Essa walked away with the win for the season, with Forsberg behind him, and surprising to all, with Saito finishing on the podium in third for the year. The falter in the final rounds dropped Gittin from fourth to fifth for the season close. 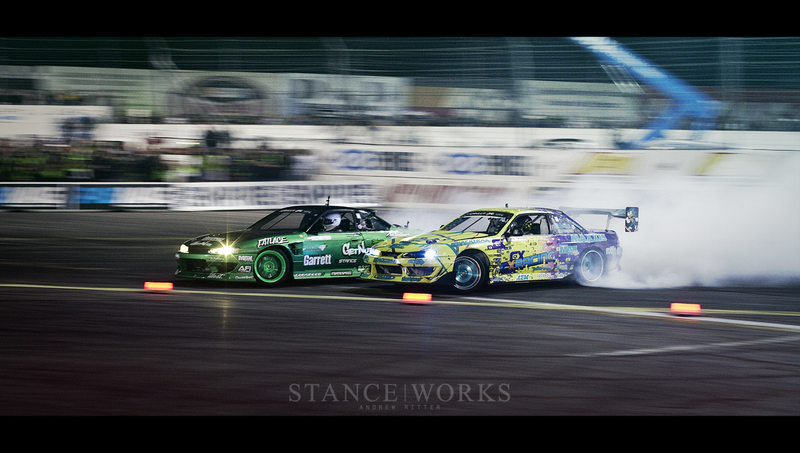 While it isn't a top-3 position, there's no denying that it is a strong finish for such a new drift team. 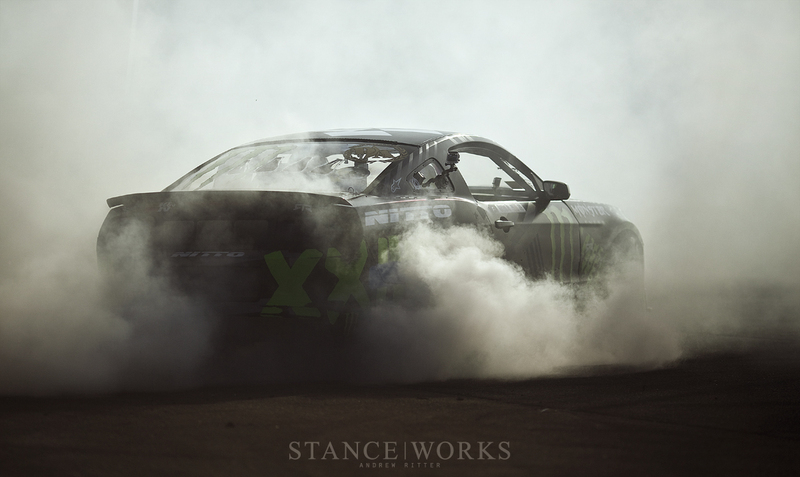 The wait for 2014 begins, and we're eager to see how much stronger and more steadfast Nitto and their drivers will be next year. I bought my car deodorant because it was a mustang.